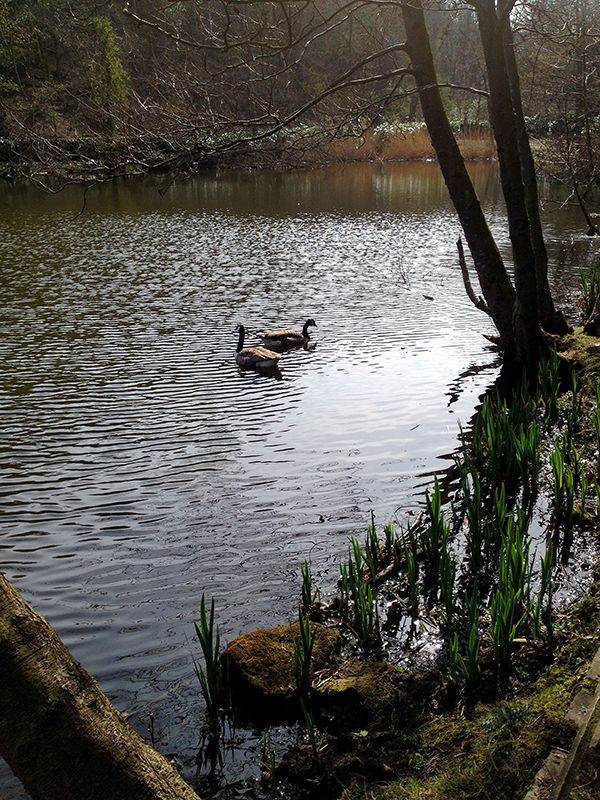 I was away from the farm for 16 days in April, and when I returned last week it was to a different world than I’d left. 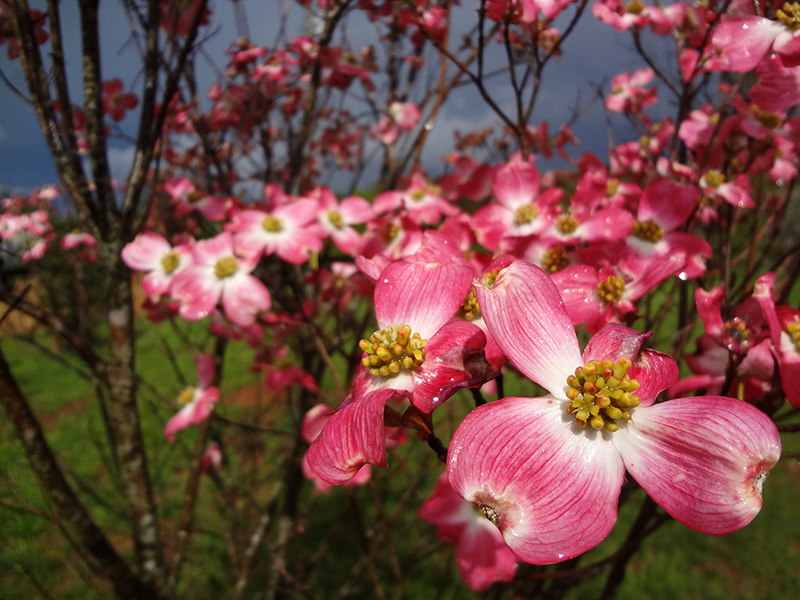 I completely missed the flowering of the earliest ornamental trees, the cherries and crabapples, but the dogwoods are in full bloom. 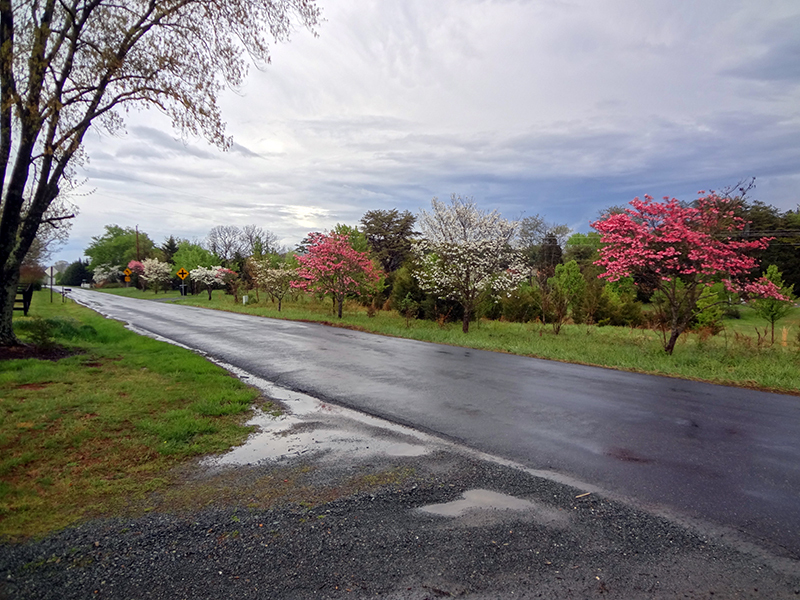 The spring continues the cool and damp weather pattern of the winter, which is actually nice as the low temperatures keep the blooms around much longer than they do during springs that shoot right to 85 degrees and stay there. 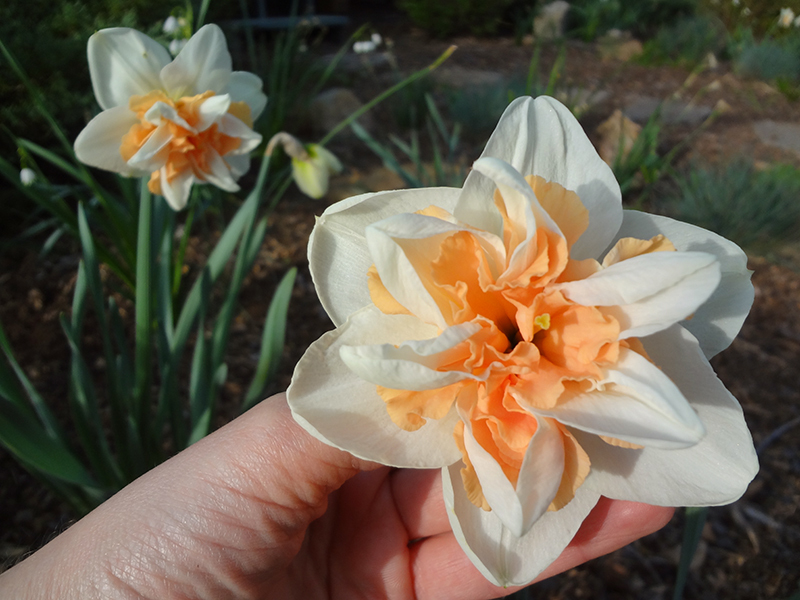 Narcissus ‘Delnashaugh’ is definitely my favorite of the bulbs added last fall—a wonderful coral/apricot color and huge blooms. 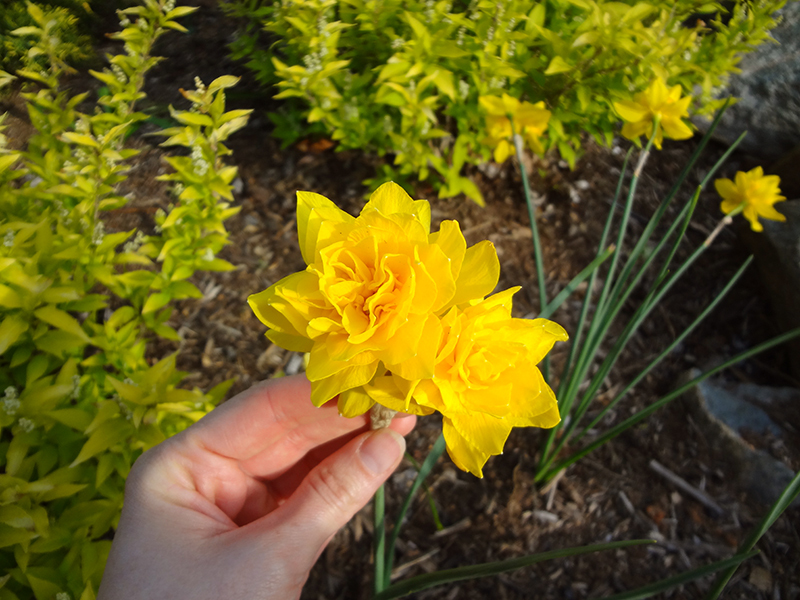 Daffodils are up there in my top three flowers—my dream is to have great fields full of naturalized drifts, and then a whole other specimen collection for up-close appreciation. 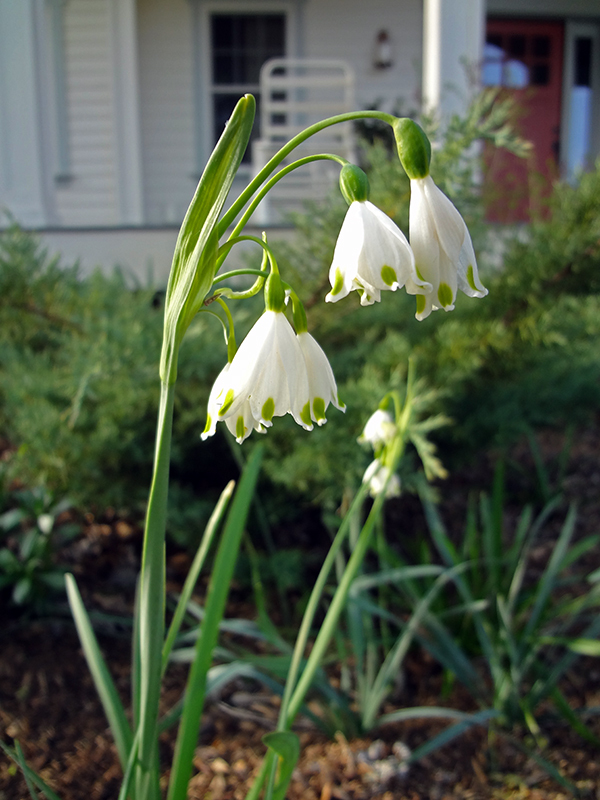 The bulbs I added to the front garden last fall are a good start toward this plan. 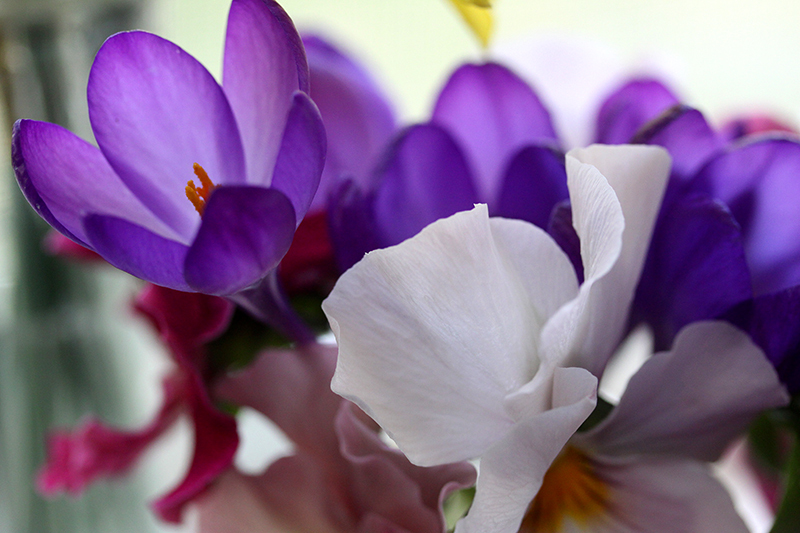 After such a long, cold, and snowy winter, I am especially appreciative of these spring blooms. 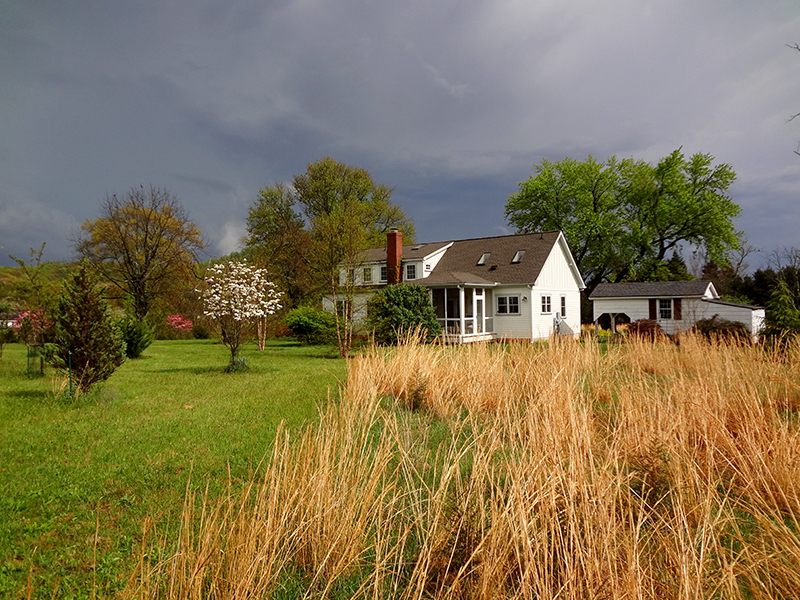 I am not, however, especially looking forward to grass-mowing season, which is already underway! 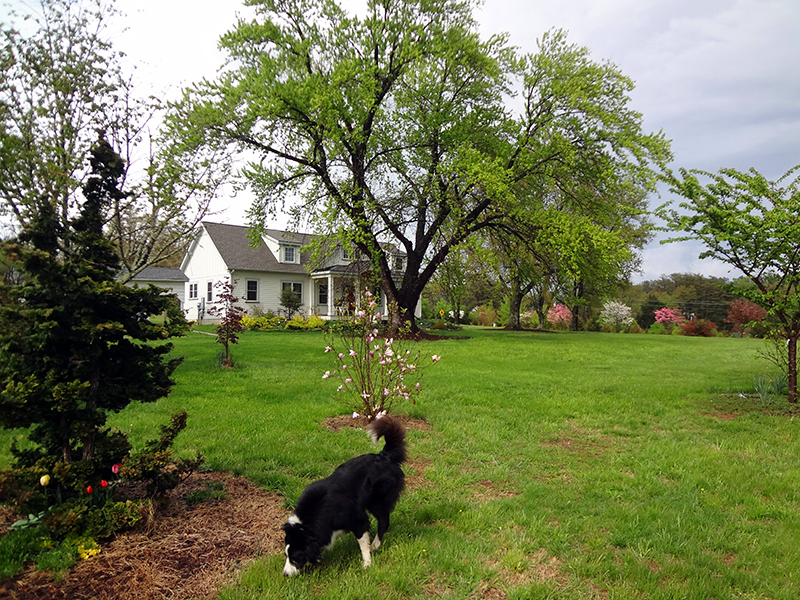 “Gardening” is a bit of a stretch for what I did today as I walked the property, but it’s all I can do. With everything cold and sleeping, today’s tasks included checking staked trees for girdling and rodent attacks. I scraped a liquified but frozen dead mouse (mousesicle?) out of the crawlspace entry, and pruned still-more cicada damage out of the dogwoods. 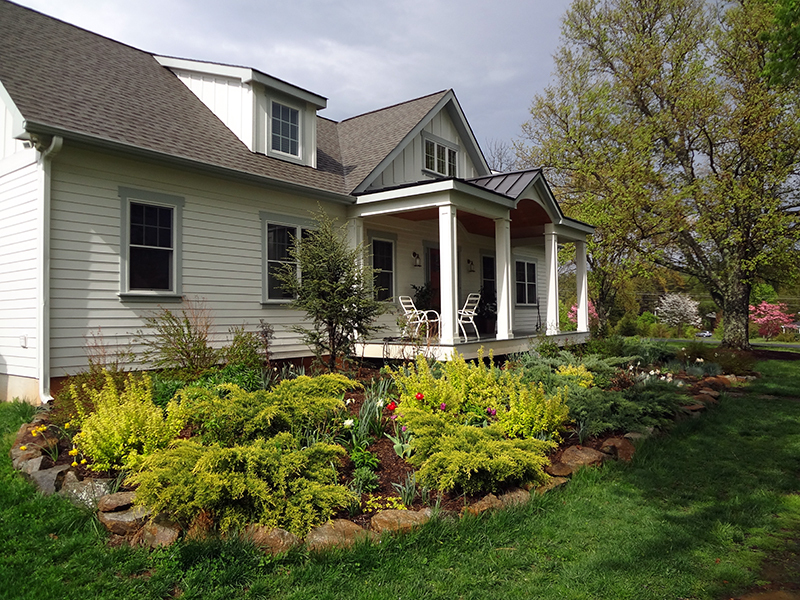 Most of my time was spent shoveling and sweeping the house garden’s mulch and compost back into place. The chickens are doing their winter thing, which is scratching in the loosest, most fertile and worm-filled soil of the acres they have access to—which happens to be in my garden. Of course. All this chicken activity exposes the prenatal tips of spring flowering bulbs, all pale and startled-looking to be so untimely unearthed. So I go around and cover these little tips with compost and try to move and pat everything into place with reassurances: “Not quite yet, naked ladies, hold tight for a few more months and if any of those chickens take a nip, bite back.” Even as I tuck these shoots away it’s hard to contain my excitement that something’s happening under the dirt. Those promises sowed in November are halfway toward realization. 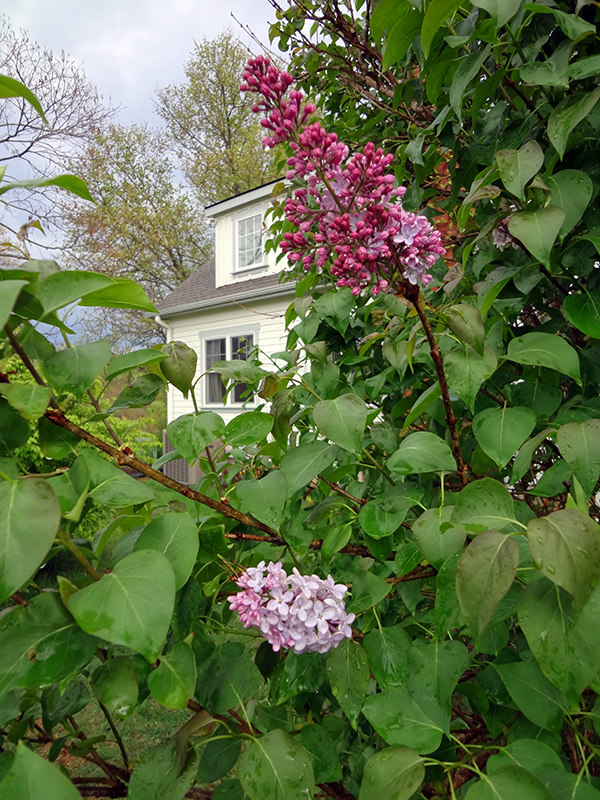 I’m itching to take the pruners to some of the standing dead perennial foliage that’s dragging the ground, but I learned my lesson last year when I lost track of where I’d planted certain things and smothered them under a new mulch application. So the stragglers stand, marking the location of my plants at least until I get the spring mulch down. I’m trying to view these dried-out sticks and seed heads through the naturalistic lens of some of my favorite garden designers, who design entire landscapes to be appreciated just like this in winter. 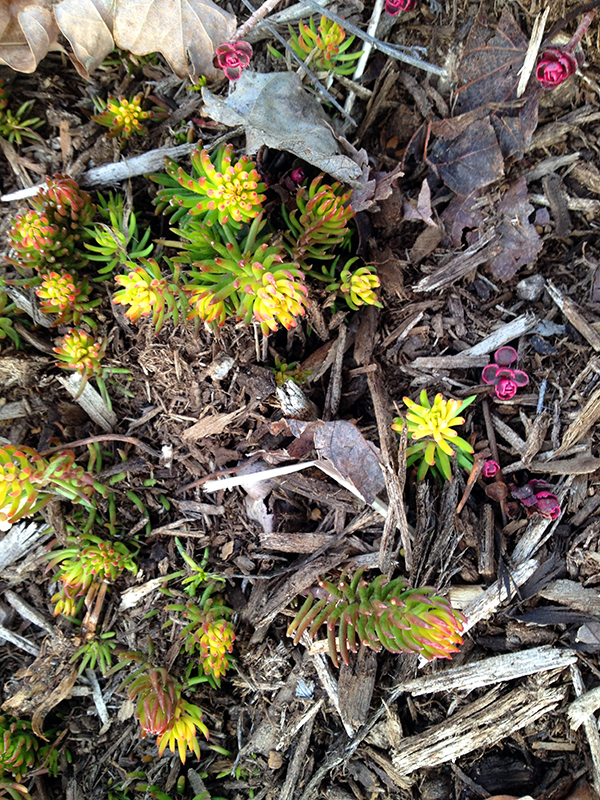 The best-looking thing in the garden right now is almost microscopic: my sedum. Sedum “Angelina” has taken on fantastic rainbow colors, and some unnamed small pink sedum is positively fluorescent. It looks like the polar vortex of a couple weeks ago has already claimed some casualties. 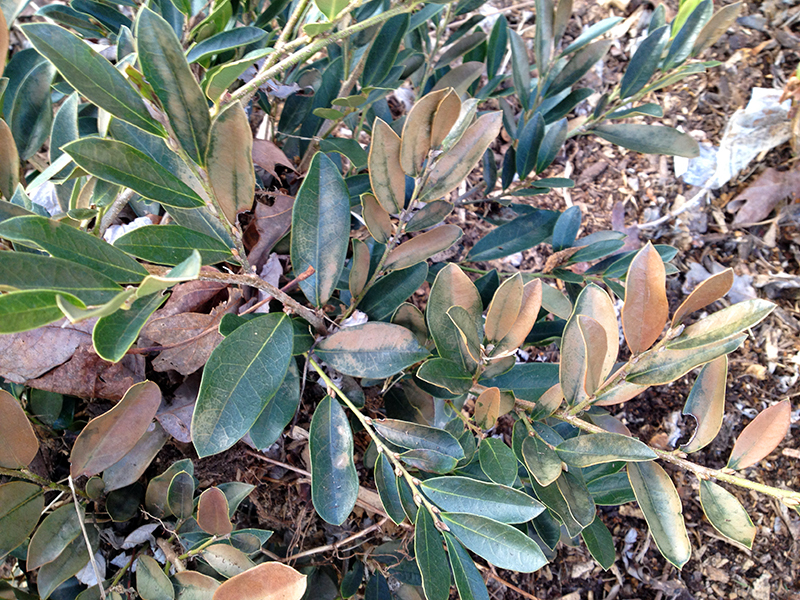 My Distylium “Blue Cascade,” which is being heavily marketed as an evergreen landscaping shrub suitable for zones 6b-9, is showing an aesthetically distressing but intellectually interesting pattern of winter burn that wasn’t there before we had our flirtation with zero degrees. It will be interesting to see how it recovers—good thing I stuck just two of these shrubs in to trial instead of relying on them to carry an entire foundation planting. And one of my two large clumps of rosemary decided that zero degrees just isn’t a Mediterranean climate, and it’s begun to brown out in a serious way. I admit that this big clump, which began as three smaller plants, wasn’t in peak form heading into winter. It had some sort of mite infestation that, while it wasn’t killing it, wasn’t exactly helping things. The interesting thing is that the other rosemary grouping, less than 20 feet away on the other side of the front walk with a similar exposure, evaded both the mite problem and the damaging effects of the polar vortex. Just like humans, plants with healthy immune systems are better able to withstand environmental stressors. Is it sick to be excited to rip out the rosemary and have a nice big section to fill with something new? 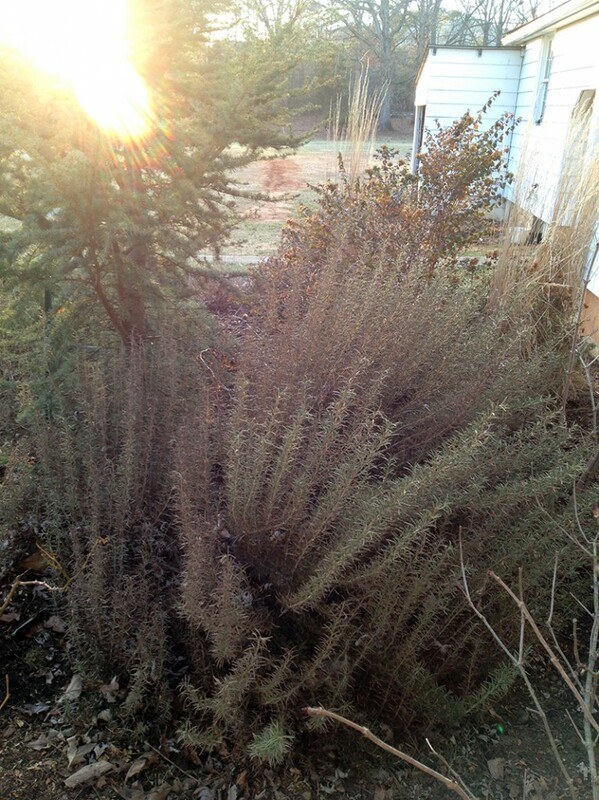 I didn’t ever plan for rosemary to become a foundation planting for me—I wasn’t expecting it to be winter hardy here—but it was (for a while!) 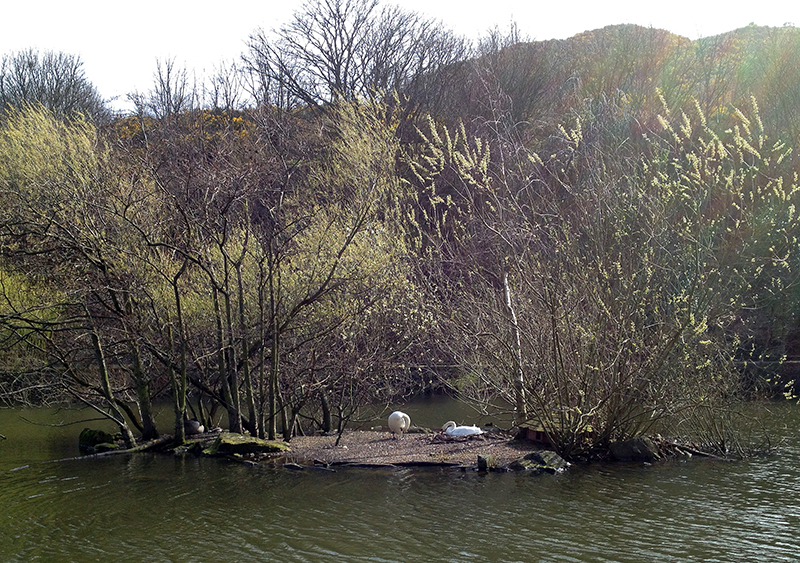 and once it got big and took up space and stayed greenish through winter, I let it live. But now that it’s brownish, I have no compunction about pulling it all out come spring. 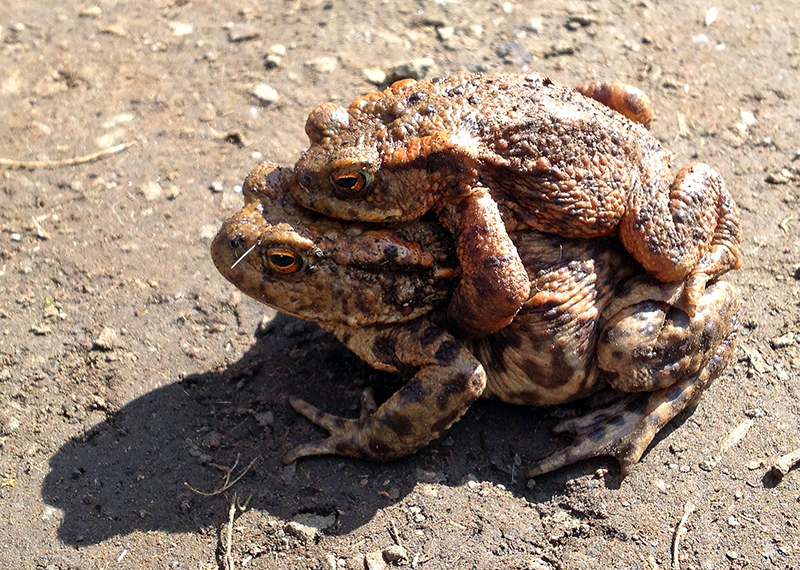 As I’ve said before, I like taking things out of the garden more than I like putting things in. It’s a great feeling to give myself permission to correct course midstream, experiment, modify and adapt, and put new knowledge into practice through good editing. As we head into the darkest days of winter, it’s easy to be overwhelmed by the prospect of at least five months of diminished light and cold, brown scenery. In an arsenal of coping strategies that includes Christmas lights, wood stove parties, strong dark beers, and emergency beach vacations, I offer one more tool: bulbs. Spring bulbs, specifically. The show begins in March with the dwarf iris that shine indigo under late-season snowfall, and carries on to the tiny cerulean scilla that remind me of the September sky. These little spots of blue, planted right along the front walkway, arrive when I’ve about given up and remind me that in just a few weeks the yard will be spotted with yellow daffodils. And once the daffodils arrive I can begin to breathe the scent of thawing soil while I lose myself in spring garden planning and sowing the first sweet peas. I have made it through the winter, and will be okay. 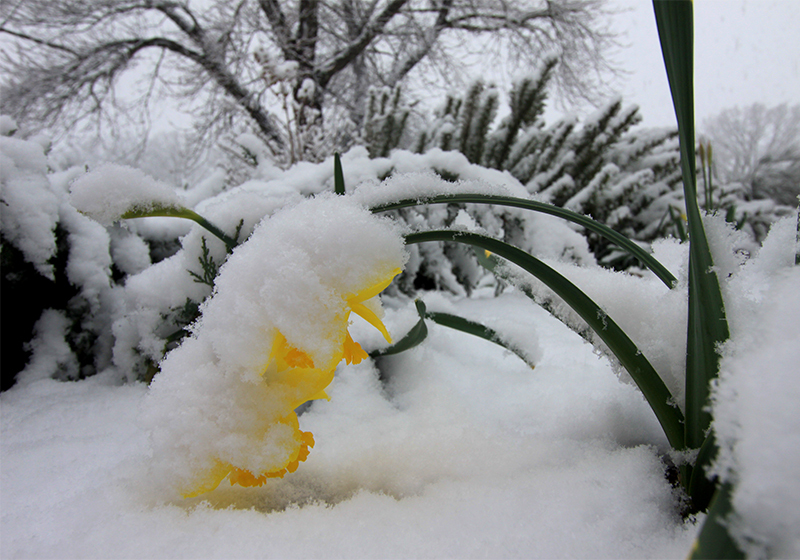 But this late-winter rescue requires some premeditation, actually begun last August when I placed my spring bulb order. 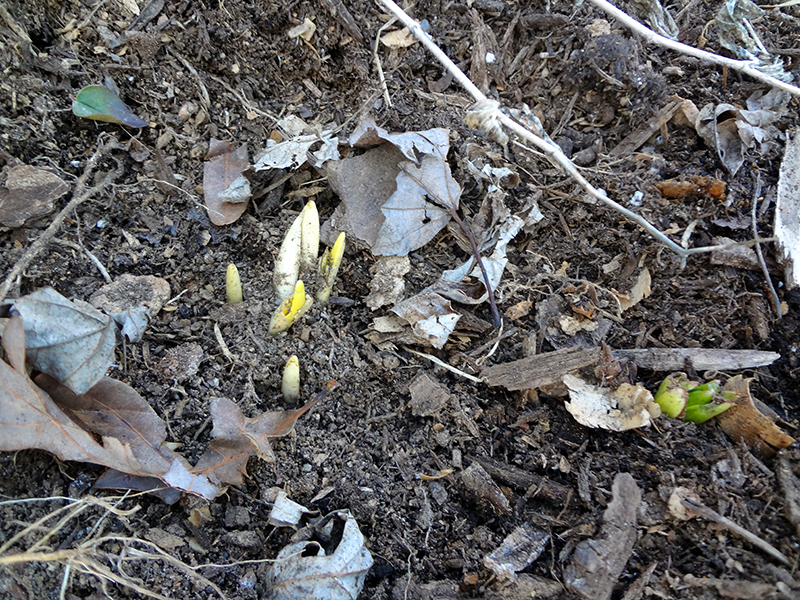 This year I am trying, for the first time, Brent and Becky’s Bulbs. Though they ship all over, they are a Virginia-based company, which I like as I believe the odds of anything they grow thriving in my Virginia garden are good. My order arrived a few days ago, and everything looks great. 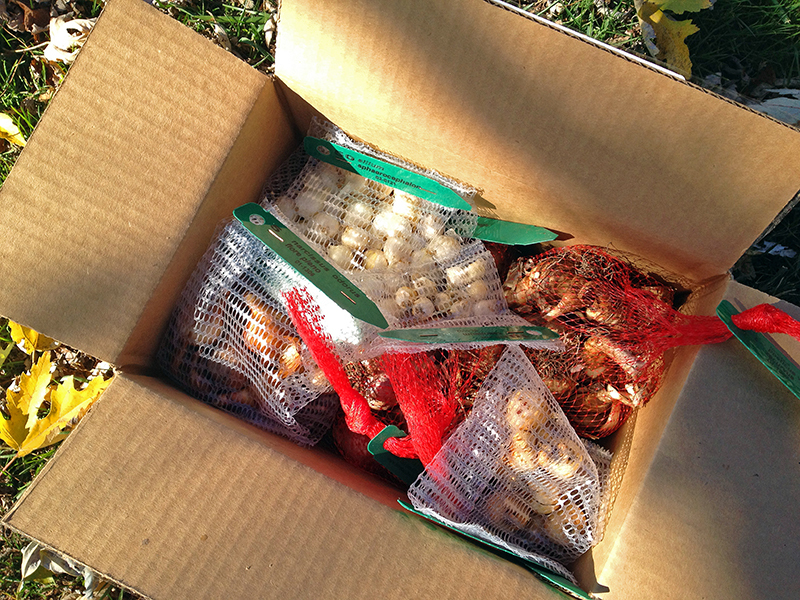 The box was full of 145 nice, plump, healthy bulbs. 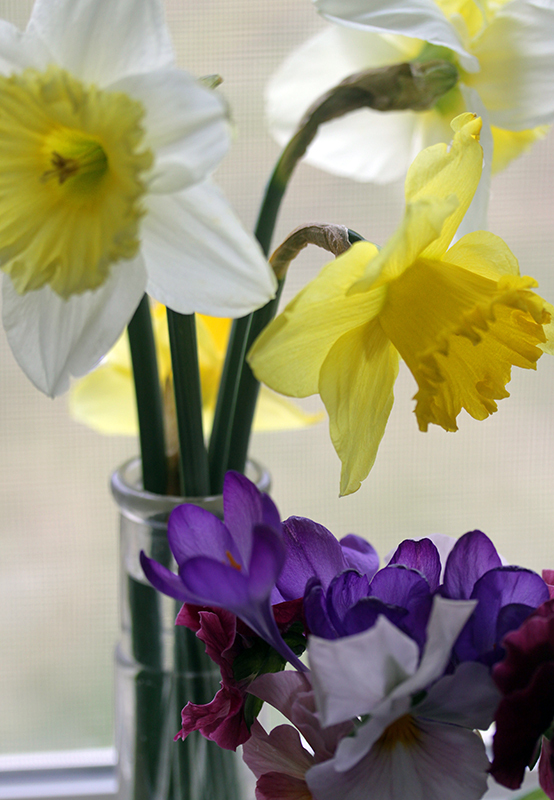 Of course I ordered a few unusual varieties of one of my favorite flowers, daffodils. I can never have enough. And I am experimenting with some alliums, based mostly upon how popular they appear to be in the gardens created by some of my favorite naturalist and New Perennial movement garden designers. Today I will slip all these bulbs under the soil for their long winter’s nap. And then, if all goes well, we will meet again in March, just when I need them most. Cut flower season has returned. My vases have been so lonely, my windowsills so naked. Let’s go back to this, shall we? Isn’t that color a shock to the heart gone dead during winter? Damage control begins in the morning. I suspect that soon there will be many short-stemmed daffodil arrangements in this house. 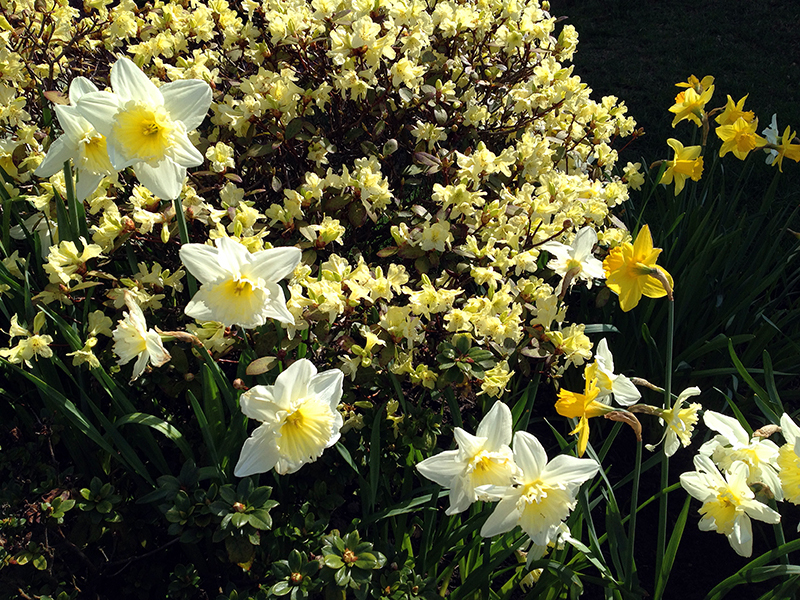 You are currently browsing entries tagged with daffodil at Bonafide Farm.